Mixing together no less than 6 of the steamiest R&B sample packs from amidst our bulging catalogue, you'll find sonic inspiration from soul, 80's R&B, slow jamz, contemporary chart hits and everything in between! At an indulgent 3GB+, this combo deal really is value for money. If you're looking for an entire arsenal of irresistable R&B inspiration, then you know what to do! 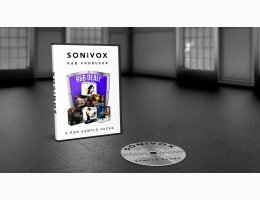 All SONiVOX LoopLine titles are Mac and PC compatible, include Acid/Wav, AppleLoop, AIFF and REX2 formats, and work with almost any music software.